Lower abdominal pain is a common complaint among children. Many issues can cause lower abdominal pain in kids, from food-related problems to external issues, such as a rash. In the majority of cases, the cause is not serious. But sometimes they may be life threatening. Therefore even if the cause seems to be small, it is necessary to consult the doctor. Abdominal pain occurs as a result of inflammation of any organ present in the abdomen. Most often the pain arises from intestine, stomach, urinary bladder, liver etc. Constipation is one of the most common reasons for lower abdomen pain in children. Presence of intestinal worms can give rise to pain in abdomen. Hookworm, roundworm etc are the common parasites that reside in the intestine. They cause inflammation in the walls of intestine. Large number of roundworms can get entangled and form a bolus. They can cause intestinal obstruction. 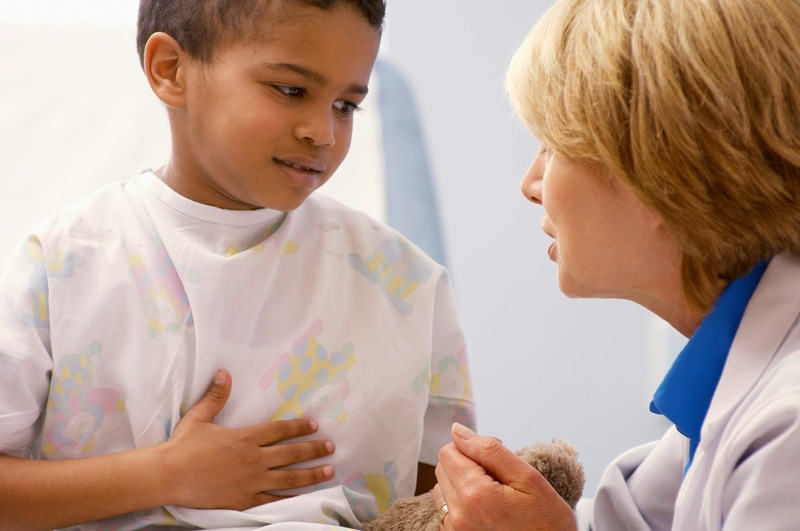 Urinary tract infection is another major reason for lower abdominal pain in children. Pathogens causing bacillary dysentery can produce pain in abdomen with concomitant symptoms such as blood and mucus in stool, vomiting, fever etc. Appendicitis, diabetes and lead poisoning are some more reasons for pain in lower abdomen in children. Children suffering from sickle cell disease. Allergy to certain foods, formation of gases or overeating can also produce abdominal pain. Pain in abdomen is also common when a child suffers from hepatitis. It can be viral hepatitis or obstructive jaundice. Ovarian lesions must be considered in girls, especially in the older girls. Acute rheumatic fever, infectious mononeucleosis must also be considered a diagnostic possibility. Torsion of testes in children may produce excruciating lower abdominal pain together with swelling of testes. Functional pain or psychological abdominal pain is common among children. Children who suffer from lower abdominal pain may not want to eat. They may rub their stomach, cry, vomit, have diarrhea or curl up in pain. They may suffer from gas or cramping. Infants may express abdominal pain by crying and curling their legs towards the abdomen. The face of baby becomes red and flushed. 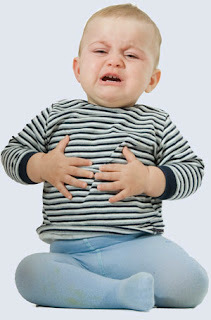 If the pain is colicky, the baby cries with each episode of spasm. Vomiting is associated symptom in many cases, especially if it is gastroenteritis, appendicitis or intestinal obstruction. Lower abdominal pain that has a viral or bacterial cause may also present as a fever in infected children. There may be history of constipation. Associated diarrhea is present with intestinal infection. In testicular torsion, child becomes pale, sweats and vomits. Testes become tender and swollen. The child complains of pain in lower abdomen. The child may pass flatus when there is excessive gas in the abdomen. Pain may last for few hours if the problem is minor. However, medical attention is needed if the pain lasts for more than 12 hours. Immediate history is important when diagnosing lower abdominal pain. The doctor will want to know if your child has recently eaten a lot of greasy foods, or perhaps a food that may cause an allergic reaction. The doctor will also want to know what other symptoms your child has, such as vomiting, which usually signifies a viral infection, food poisoning or the consumption of a toxic substance. In addition, the doctor will probably palpitate the abdomen and ask your child to cough, jump or otherwise move around. Treatment for most conditions that cause lower abdominal pain (save appendicitis or intestinal blockage, which require surgery) can be done at home. Gently rubbing your child’s belly may soothe him, as might warm, wet compresses or a warm bath. Gas pain can be treated with antacids. Bland foods, broth, soda water and crackers can help soothe an upset stomach. In most cases when the problem is minor, such as constipation, pain is relieved after the bowel movement. Place a warm water bag over the tummy. It alleviates pain in abdomen. Avoid giving the child heavy meal. Instead give him small and light meals. Such as tomato or vegetable soups, rice etc. Feed him in lesser quantity but more often. Give him small quantity of water frequently, especially if the child has diarrhea. Avoid any self medication. Consult the pediatrician before giving any medicine. Avoid milk and milk products when the pain is acute. Lemon tea with honey is beneficial to alleviate abdomen pain in children. Grind few pieces of ginger and extract juice from it. Apply it over the painful area of the lower abdomen. It is an effective home remedy to alleviate abdominal pain in children. Soak aniseed for two to three hours. Give half glass of strained liquid two times in a day. Add small amount of sugar for taste. There are two serious causes of lower abdominal pain, according to AskDrSears.com, and both require immediate medical attention. The first is appendicitis. Early appendicitis often presents as mild pain near the belly button. In time, the pain will move to the lower right side of the abdomen, and be constant and severe. Children with appendicitis may have a fever and will likely refuse to eat, walk or even move. Intestinal obstruction is also a serious cause of abdominal pain. This presents as severe, sudden pain coupled with projectile vomiting. The vomiting is persistent and dark green in color. A child with an intestinal obstruction will appear seriously ill. Medical treatment should be sought without delay.